1. Include Resurrection Eggs in your baskets or egg hunt. 4. 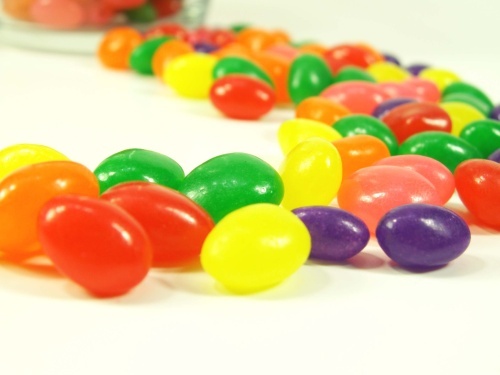 Make a Jelly Bean Prayer Jar to give away to a friend. 5. Make your Own Soft Pretzels. Did you know pretzels were originally designed to represent arms crossed in prayer? 7. Host an Easter Party for Neighbors. What are some of your favorite and most meaningful Easter traditions? Thanks for the ideas! Can’t wait to give away those jelly bean jars! I just wrote about this a few days ago on my blog, too! One of the things I mentioned, that we like to do, is recount the events of Easter week, even the passover meal. It makes for a great learning experience! Great ideas! We also always make “Easter Story Cookies” – the ones that tell the story of Jesus’ death and resurrection with scripture related to each ingredient of the recipe. Have you ever made them? The children beat the pecans just as He was beaten by the soldiers, the vinegar is poured and tasted by the kids just as He was offered vinegar on the cross, etc. The best part is the kids put the cookies in the oven, then have to seal the oven and wait until morning to eat them – just as Jesus was left in the tomb and His disciples were devastated to leave Him. In the morning, the meringue cookies are hollow – the empty tomb because He is ALIVE! This year we have spent time reading the bible a lot in prep. We made our own resurection eggs, easter story cookies as above, had a passover meal (and made our own matzoh), colouring sheets and lots of talking together about why it’s so important! Had lots of other plans we didn’t get to… next year!! !